Walking Stage 1 of the Camino Le Puy Way. Enjoying the camaraderie of fellow hikers and pilgrims. Climbing the 267 steps up to the Chapel of St Michael d’Aiguilhe. Observing the dramatic rocky peaks rising from the valley floor in Le Puy. Sampling the delicious local delicacies such as estofinado. Walk Stage 1 of the Camino Le Puy Way, through the south west of France from Le Puy-en-Velay to Nasbinals. 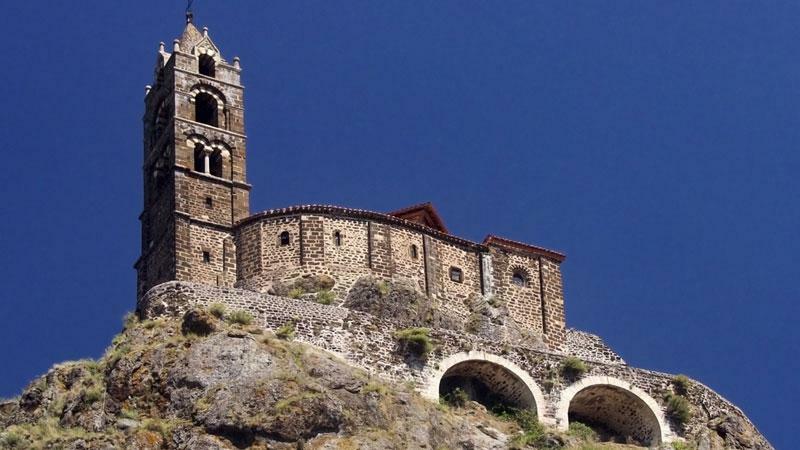 This ancient pilgrimage route that takes you along the Grand Randonnée 65 and through volcanic landscapes, the Velay Mountains and the Margeride Plateau, all of which are rich in history, culture and pilgrimage sites. 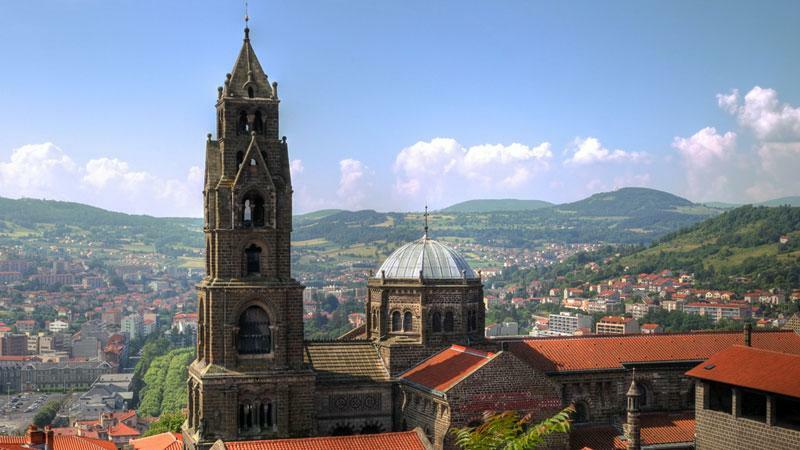 Arrive in the historic city of Le Puy-en-Velay which has been a pilgrimage centre since the Middle Ages. Spend time here exploring the sites within this city that is set in a volcanic plateau and is famed for its rocky peaks which rise out of the valley. After checking into your comfortable hotel, why not climb the 267 steps up to the Chapel of St Michael d’Aiguilhe, built by Godescalc who made the pilgrimage to Santiago in AD951. Also view the Romanesque cathedral and wander through Le Puy’s narrow, characterful streets. The walk today begins at the cathedral and from here, and as you follow the trail, you will see wonderful views over the whole area. 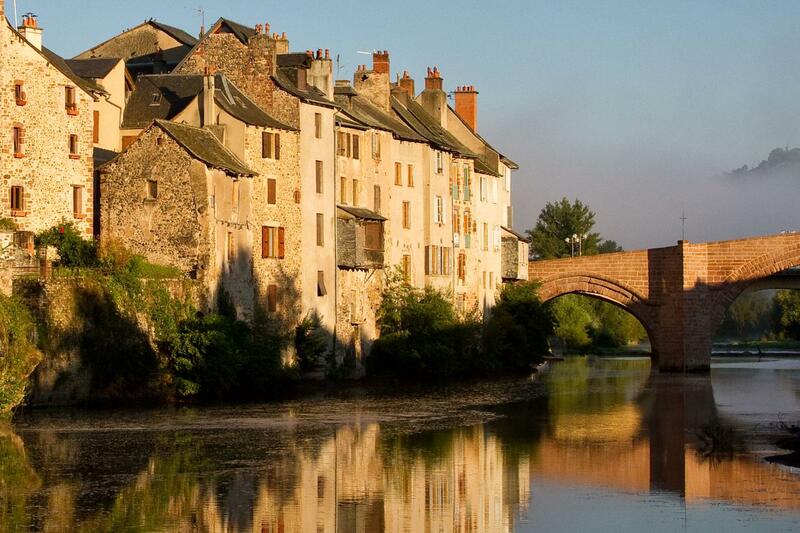 This morning you will cross the Velay, an area famous for its lentils and black sheep. Later this afternoon arrive in St Privat d’Allier, from where you will receive a transfer 7km to the lovely village of Monistrol d’Allier. Transfer from Monistrol to St Privat to rejoin the Camino. 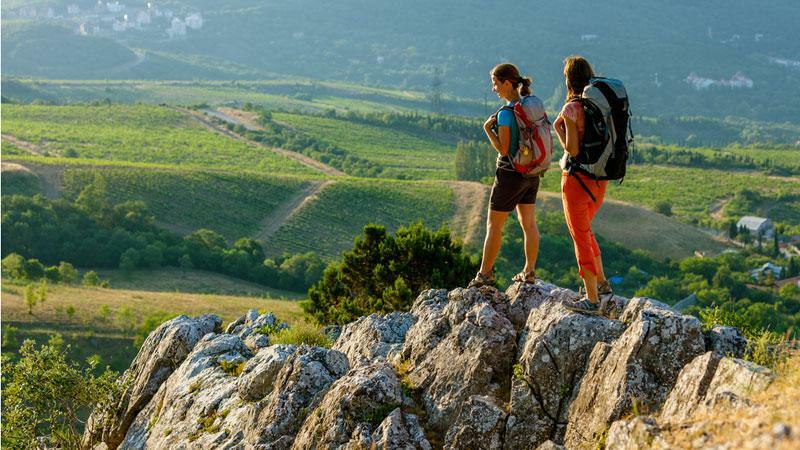 During today’s walk you will pass through widely differing countryside, such as the Allier gorges and a volcanic plateau of great natural beauty. Climb a tiny chapel dedicated to St James perched atop a rocky belvedere and past the Madeleine Chapel, which was carved out of the rock in the 17th century. Today you discover the Margeride Plateau with its characteristic villages, secluded hamlets, ancient stone crosses and pastures hemmed in by stone walls. Each village has charming features such as granite houses with carved doorways and cottage gardens. 1km off the main track, you will come to the village of Les Faux and your accommodation for the night. 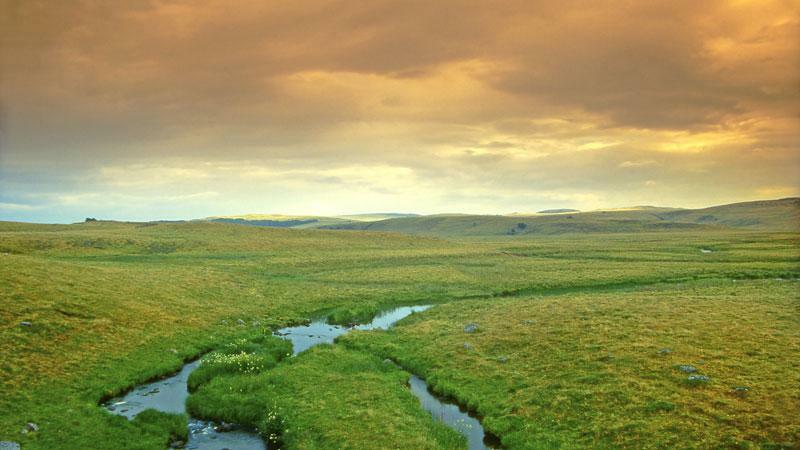 Today is long day of walking once more but it is worth it as you leave behind the Margeride Plateau and begin to cross the Aubrac Plateau, a wide expanse of pastures, old barns, drystone walls, and swathes of wildflowers, depending on the season. 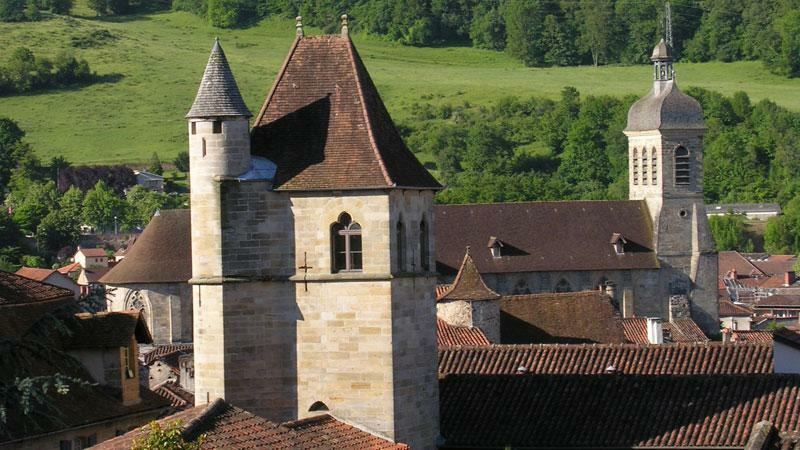 Later arrive in Nasbinals, where there is a superb 14th century Romanesque church built of brown basalt. The tour finishes after breakfast and you can make your way back to Le-Puy-en-Velay or to Clermont Ferrand for your onward journey. 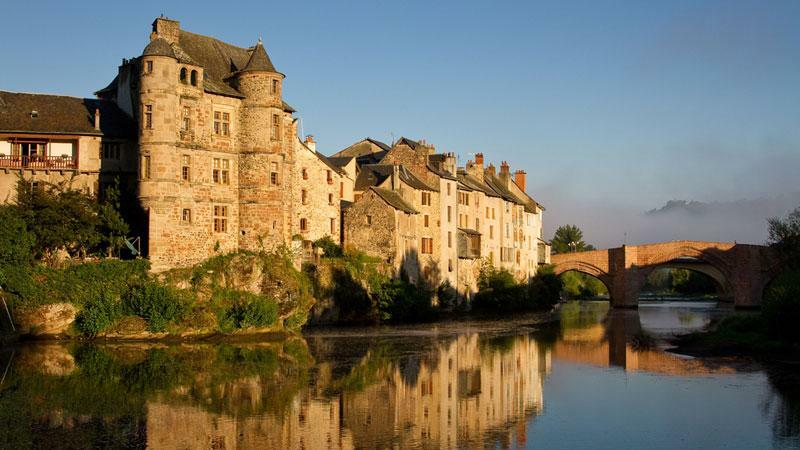 On your 6 night, 7 day Le-Puy-en-Velay to Nasbinals self-guided walk in France you will stay in comfortable 1 or 2* hotels. On occasion you may not have en suite rooms. You might be booked into alternative accommodation locations which are not listed in the itinerary description. If those locations listed are unavailable we will update you in your booking confirmation. If you require single rooms within your party we would be happy to accommodate you although there is a single room supplement payable. Solo walkers are also welcome with a solo supplement payable. Daily breakfasts and dinners at your hotels are included. Breakfasts are buffet-style and dinners will be the “meal of the day” at the hotel. If you want a choice for dinner you can pay a supplement. You can order packed lunches at your hotel the evening before (ranging from €7 to €10) or you can buy lunch in grocery stores, cafes and restaurants en route. The Camino Le Puy is best enjoyed from May to October but you can walk at any time of year. You can start on any date that suits your travel plans and you will find up to date availability on our website. Bookings from October onwards are subject to a supplementary charge as an out-of-season bag transfer service is required. 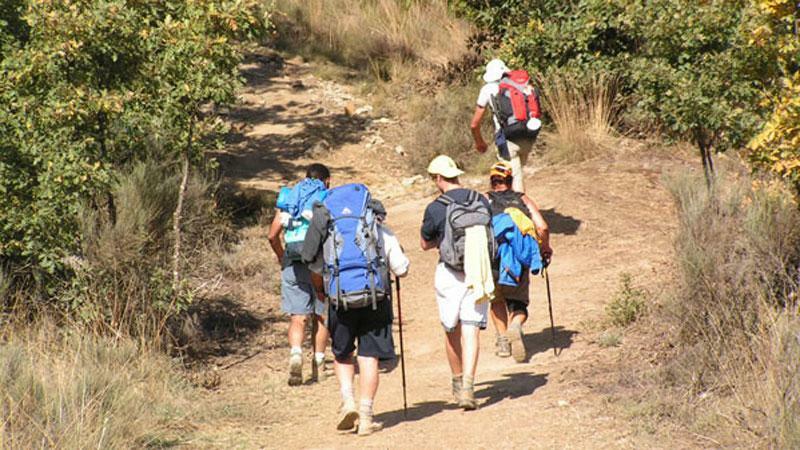 This walk is graded moderate and includes daily walks of 15-33km. The walk is extremely well way-marked and you will also be supplied with turn by turn route notes and detailed maps so you will have no problem following the route each day. 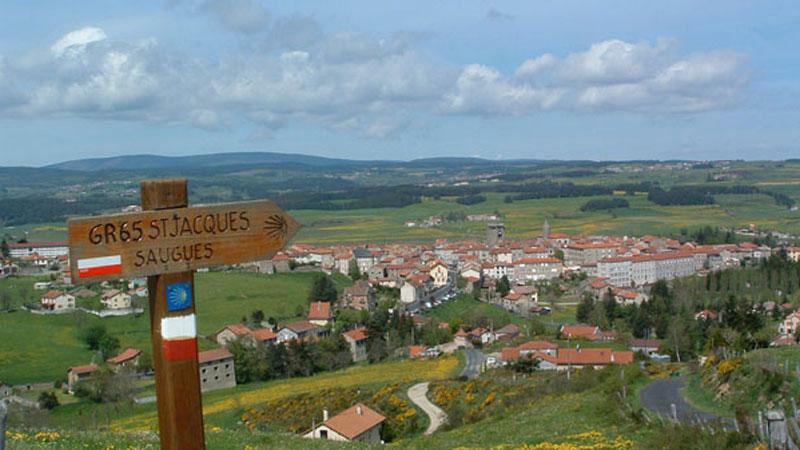 On the Le Puy Camino you will follow a mixture of farm/dirt tracks, minor roads and footpaths. The route is marked with white and red painted arrows but please take care at intersections. There will always be other walkers around in case you are looking for help. A detailed information pack including route notes, local information and maps will be waiting for you at your first accommodation. Baggage transfers are included in the Camino Le Puy trip. Your bags should be left in the reception of your accommodation every morning. Your bags will then be transferred onto your next nights’ accommodation. There is so much to see and do along the route that many of our clients choose to add extra nights along the walk either as a rest day or simply to do some extra sightseeing. If you are walking the whole route solo try not to add too many extra nights along the way as you will lose touch with those you have met. The distances and ascent/descents are approximations of the recommended routes. Please be prepared by packing all necessary items, for example, proper rain gear (jacket and pants), sun hat and sun screen. Your information pack has a detailed equipment list which includes standard walking gear such as walking boots or shoes, warm and waterproof clothes for the cooler months and lightweight clothing for summer, and a day pack. The closest international airport to Le-Puy-en-Velay is Lyon Airport which is approximately 150km away. Many flights from the UK and other gateways in Europe fly into Lyon. From here you can take a train to Le-Puy-en-Velay which takes approximately 2 and a half hours. Up to date schedule and fare information can be found on the SNCF website. You can also drive to Le-Puy-en-Velay. Parking is available in an underground car park and costs approximately €17.50 per week. From Nasbinals you can either book a taxi back to Le Puy-en-Valay, (more information can be found in your information pack which you will receive after booking), a taxi will cost around €25 per person (payable locally dependant on size of party). Or you can take a taxi from Nasbinals to Aumont Aubrac, then take a train to Paris (via Clemont Ferrand). More information on train times can be found on the SNCF website. Detailed maps, a guide book and information pack. 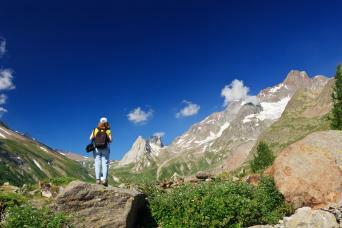 This tour is suitable for most people that are in good physical condition. It is rated moderate as there are some elevation gains and losses and on a couple of days there is significant mileages to be walked. What type of trails does this section of the Camino Le Puy Way follow? The path takes you over plateau's and over volcanic landscapes which may be rocky at times. The areas you walk through are often quite remote although you will pass small hamlets and villages from time to time. 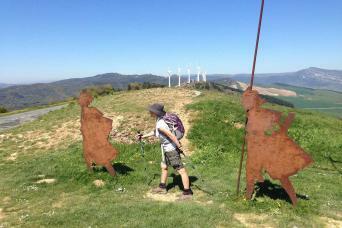 As you are following the GR65 there will be waymarkers and also Camino pilgrimage signs from time to time. 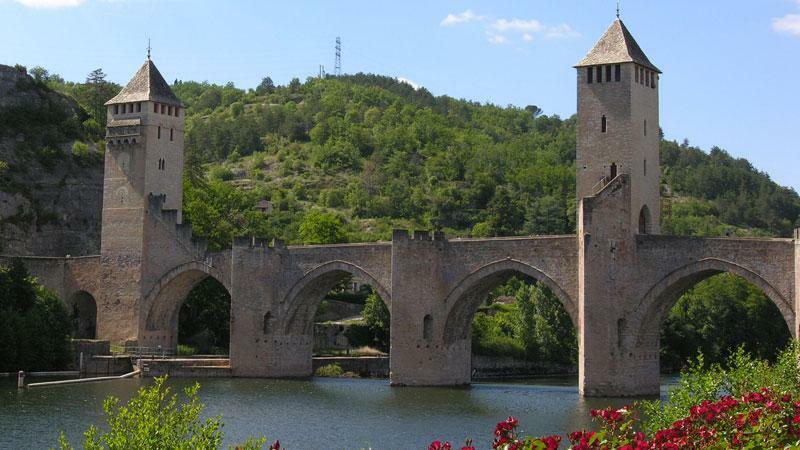 We suggest you book as far in advance as possible as the Camino le Puy Way is extremely popular. We will always try and accommodate late bookings but realistically you need to book at least 6 weeks prior to departure. Your bags will be transferred from your accommodation as per your itinerary and moved onto your next overnight accommodation. We ask you to limit your luggage to one bag of up to 13kg per person. The tour operates between May and October although we recommend travelling in May or June when spring wild flowers are at their peak, or in September/October when the autumn colours are stunning. July and August can be very hot if you are not used to walking in the heat. Your detailed information pack will be sent to you after you book. This has a detailed equipment list which includes standard walking/cycling/trekking gear such as good walking/cycling boots or shoes, warm and waterproof clothes and a day pack. Lyon Airport is the closest international airport which is accessible to Le-Puy-en-Velay by train. For train schedules please visit the SNCF website. Great holiday, well organised. The walk was very well marked and met our expectations. A few hiccups but that shouldn't deter you from trying it. Accommodation generally good. Food plentiful but not out of this world - especially for veggies. This was a tougher route than we realised, and had to opt for the transport option on the last day to Nasbinals. 26 kms of exposed walking in strong sun was not a good idea. A couple of specific points, one pro and one con:- The hotel in Les Faux provided only a shared bathroom across the corridor, not ensuite, as we had thought we had paid for. We had exclusive use between our two rooms, not ensuite. If the luggage is taken by Transbagages, they can usually provide a lift to the next stage, (if space permits) and for a small fee. They were also happy to give us a lift back from the end to a train station at the previous town, again for a fee. Indeed, some people were being taken all the way back to Le Puy to rejoin cars etc. Might be worth stating this in the leaflet as an alternative to a local taxi. But it would not be available if there was a large group doing the stage and using up all the space in the van with their luggage. Any chance of the hotels co-ordinating their menus a bit better? We had boeuf bourgignonne three nights out of four! The best hotel was La Terrasse in Saugues, comfortable and a delicious meal. It was something I wanted to do but my 12 yr old daughter tagged along. I'm happy that she completed the journey. All the arrangement was made just right with very welcoming people all around. Almost missed the train back to Paris upon completing the trip because some local train station are closed on Sunday! [...].but overall, I'd definitely try again [...]. Thanks! You can either complete Stage 1 of this pilgrimage route as a self-guided walking tour in its own right, or you may complete more or all of the sections at the same time. This particular section is graded as moderate because two days of the walk are 26km, so quite long days of walking. If you like staying in comfortable hotels whilst enjoying the camaraderie of fellow pilgrims and travellers then this tour will suit you.